Want To Be At Your Best? Let's Talk About Self-Care. Want To Be At Your Best? Let’s Talk About Self-Care. When you are fatigued and stressed to the max, you are not performing at your best personally or professionally. This isn’t all about performance; it’s about quality of life. 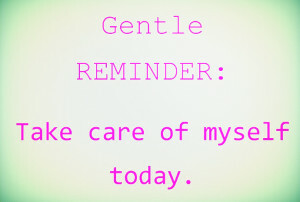 When I talk about self-care to people it often gets misheard as selfishness: time away from your job, family, partner and house duties etc., to focus on your self. 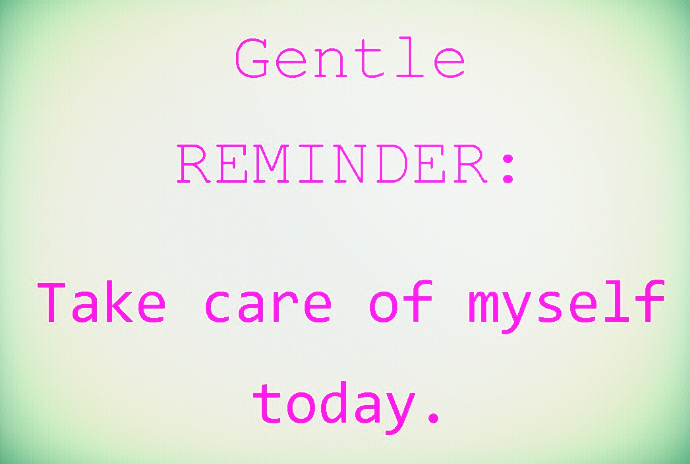 Self-care is the opposite of selfishness, it’s self-respect. It’s providing the basic needs and support for you so you can care for others without feeling guilty, depleted, resentful, overwhelmed or exhausted. Self-care does not require excessive time, money or resources, just the rearranging of certain priorities; namely YOUR health and well-being. I talk a lot about sustainable change. To me this means small, intentional changes that are not overwhelming or so disruptive to your current way of life that they don’t stick. The ‘all or none’ approach rarely results in permanent change, usually adding more stress and feelings of failure – all things we are trying to avoid. Sleep: Most of us do not get enough sleep, plain and simple. It requires discipline to be in bed earlier enough to obtain 8 hours of sleep. Anything less then 7-8 hours does not allow for optimal functioning and health. Inadequate sleep contributes to low testosterone, decreased fertility, PMS, diabetes, chronic pain, depression, anxiety and weight gain. Inability to lose weight despite healthy eating habits and regular exercise is usually related to lack of sleep. Determine how long it takes you to get into bed at night (we all have some kind of bedtime routine) and get yourself under the sheets in time for a full 8 hours. The benefits will be great. Stress management: Managing stress is incredibly important in self-care and requires attention and intention to learn what works for you. There are a myriad of stress management techniques: meditation, reading, writing, exercise, breath work and so on. I encourage you to try them all, it’s the only way to discover what truly works for you. I prefer to lace up my shoes, hit the trails and let my thoughts wander where they may. Other people prefer stillness, or quieter activities. Again, find your method, make it yours and put it into regular practice. Movement: For me, movement and stress management are intertwined. Everyone has their own unique relationship with exercise or movement and figuring that out will help in your overall self care regime. Daily movement enhances the body’s circulation, immune system, brain function, nervous system, glucose/insulin regulation and lowers congestion. All of which decreases physiological stress while balancing and nourishing our mental and emotional selves. Diet: We could spend hours talking about diet. In regards to self-care, what you eat should nourish you. I’m talking about whole, clean foods that are free of allergens, toxins, excessive processing and other inflammatory agents. Ideal eating habits often go out the window when stress gets high. Sticking to foods and routines that make you feel good are important when things get tough and a wonderful way to love your body. Radical diet changes are not generally recommended when you’re feeling significantly stressed, as it tends to generate even more stress. Simple and sustainable changes toward a supportive menu will help in the short term and long term towards balanced, optimal well-being. Communication: This isn’t a standard self-care topic, but one I believe is very important. Figuring out how best to communicate with your loved ones is empowering and healing. It’s a unique endeavor for every relationship and at times a difficult, even uncomfortable journey. Strained communications with its subsequent emotions are depleting, pulling us away from happiness and optimal well-being. This area is clearly stepping out of the immediate self-care circle but immensely impacts our ability to thrive and reach our potential.